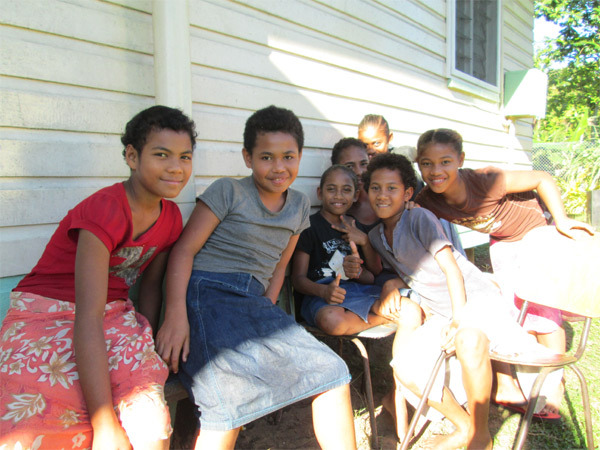 My adventures on the South Seas began with an introduction to Sea Mercy International. My fiancé, who is a physician assistant, was interested in volunteering for a medical mission in Fiji. Having no medical skills or background, I was a bit nervous about trying to integrate and be useful on the trip but was excited to share this adventure with him. It is difficult to describe in detail the perfect mix of humanitarian effort, teamwork, adventure and belonging that developed from our volunteerism. Sea Mercy is synergistic in its approach to bring providers, resources and governments together for the greater good of mankind. So what to do with a CPA on a medical mission? For that is what I am, a bean counter, and one skill set I possess is good penmanship and attention to detail. 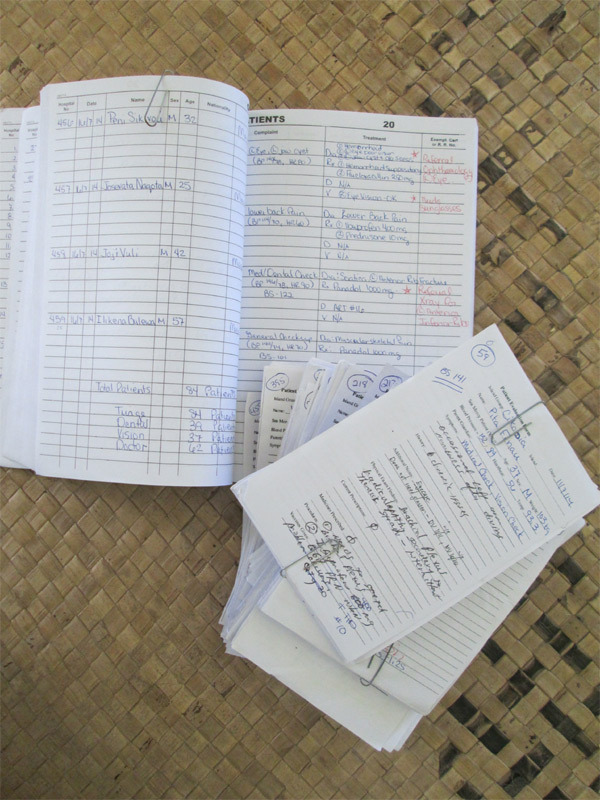 Thus, I was entrusted with THE BOOK, an old fashion ledger, in which to capture the vitals, diagnosis, and prescriptions of all the patients seen during our rotation in the Lomaloma Group of islands in Northern Lau. My day started early and generally ended each evening at the dinner table recording the routing slips, clarifying prescriptions, and recording the referrals needed for follow up care. As a non-medical volunteer, the Sea Mercy leadership will identify your skillsets and talents that will be most useful to the success of the mission. They will find a place for you that will bring satisfaction in knowing that you are part of the team and that your efforts are making a difference in the lives of those served. 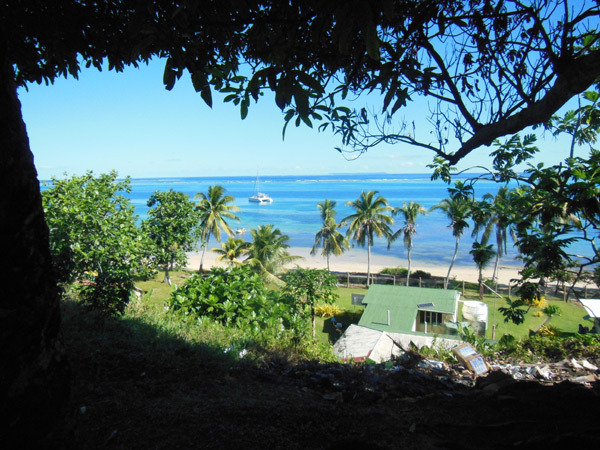 The Fijian people are warm and friendly folks. It was very interesting to learn their customs and hear their stories. I often sat outside and visited with them as they waited for their care. The ingenuity and skill they employ to make the best of what they have was a humbling experience to one used to running to Walmart or Home Depot for whatever I may fancy. The children were delightful, full of smiles and laughter, excited by the small toys and trinkets that were given to them. They are amazing little singers and sometimes gave us a concert at the end of the day. 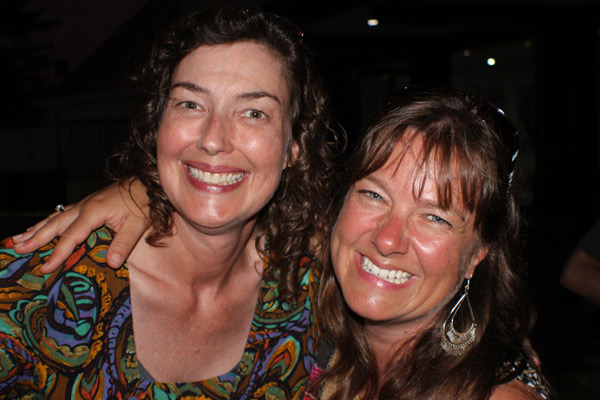 We were guests aboard the catamaran, Dragonfly. Life on a sailboat does require some adjustments. Toilet paper is not flushed and recycling has an entirely different meaning from the ecofriendly measures taught in common social circles. Fresh water is precious and must be conserved; bathing is done in the ocean. Quarters are close and you are constantly in motion. Captain Al and his wife, Jill, made our stay very comfortable. They were wonderfully patient with my attempts at “helping” and Jill is an amazing cook. 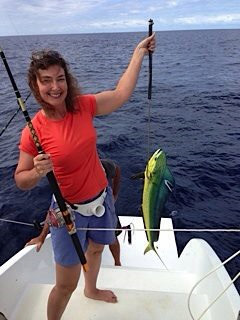 We caught fish every day, which contributed to healthy and nutritious meals. Life was a bit surreal for the two weeks we were on rotation. Having been raised in the mountains and high deserts of Idaho, I was completely unfamiliar with the ocean and life aboard a sailboat. I had never really swum in the ocean and was fearful of sharks, waves and not being able to touch the bottom. I was determined to conquer my fears and thus, tentatively approached the sea through the help and security of a foam pool noodle. 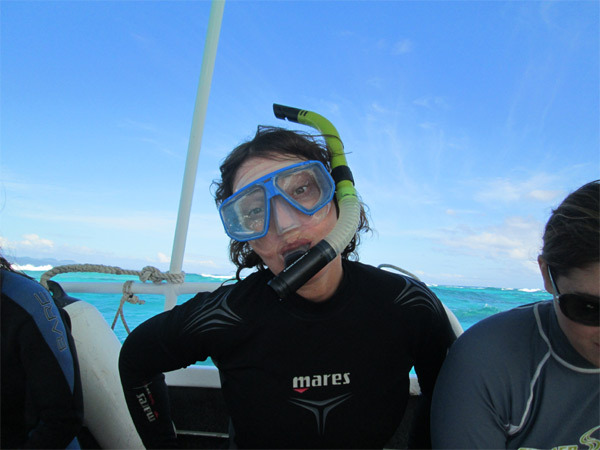 With the guidance and encouragement of my fellow volunteers, I was coached into the joy of snorkeling. 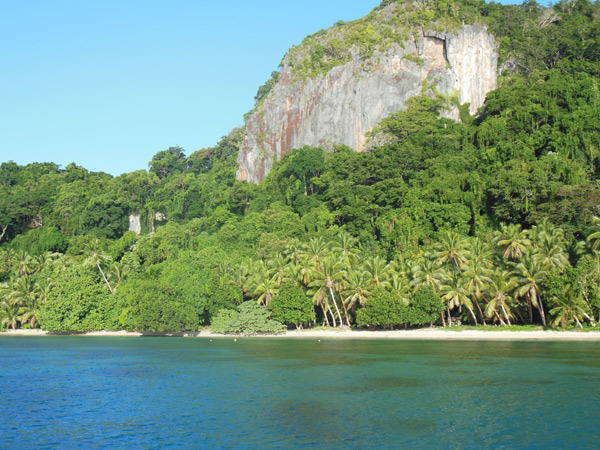 The South Seas are beautiful and each island boasts its own amazing reefs with a lovely display of fish and coral. I even saw multiple sharks, though admittedly, I was never comfortable being in the same ocean with them. In the evenings, after clinic, we would swim until the fading light forced us back to the boat. I am proud to say, at the end of my two week rotation, I snorkeled on the Rainbow Reef without assistance of noodle or hand! 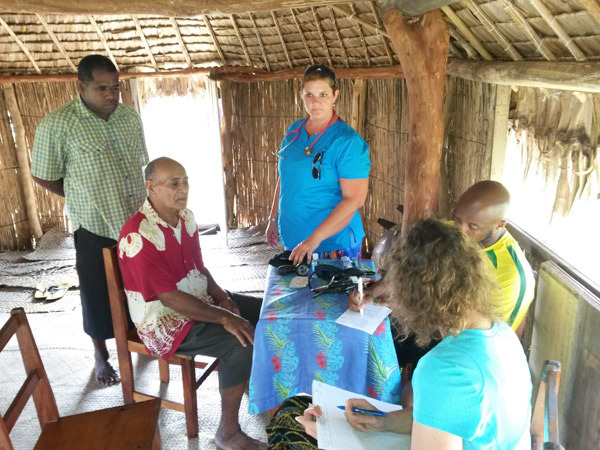 I am so thankful for the opportunity to have worked side by side with the medical professionals, sailing professionals and those companions willing to give their time and finances to assist Sea Mercy in bringing health care to the remote islands of the South Pacific. It was an amazing and rewarding adventure!